In the late 19th century, American missionaries such as Lida Ashmore and Sophia Lyall introduced Western needlework techniques such as drawn-thread, cross stitch, crochet and embroidery to women in the Chiuchow region in Guangdong province. The hand embroidered table linens, silk lingerie and handkerchiefs coming out of the region became known as “Swatow lace” or “Swatow drawn work” after Swatow, the biggest city in the region. Starting out as peddlers of Swatow lace made in small workshops, Chiuchow Christians organized themselves into companies and business took off in the 1910s when the War in Europe disrupted production in European cities such as Venice and buyers from the West discovered Swatow lace which was equal if not better in quality yet cheaper than machine-made embroidery. Given the proximity to Swatow and attractiveness of HK as a seaport, a few Swatow lace merchants began operating in HK in the 1900s, setting up shops in Central. In the 1920s, a few more Swatow lace firms were established in Tsim Sha Tsui and in 1923, 8 Swatow lace merchants helped to form the HK Chiuchow Christian Association, which later evolved into the HK Swatow Christian Church (潮人生命堂). When the three traditional hubs of the industry – Swatow, Shanghai and Chefoo – came under attack after the outbreak of the Sino Japanese War in 1937, HK became the major hub of Swatow lace exports and the number of Swatow lace merchants in HK grew to several dozens. Founded in 1907, Swatow Drawn Work Co Ltd was one of the earliest, if not the earliest Swatow lace firm in Hong Kong. Some sources suggest its first store in HK was located on Wyndham Street, but a 1908 ad listed its address as 38 Wellington Street. In 1949, its address was listed as 3A Wyndham Street and then later the firm operated out of the old Jardine House at 14-16 Pedder Street in Central. Outside of linens, lingerie and handkerchiefs, Swatow Drawn Work was also involved in the exports of a wide variety of goods including camphorwood chest, fire crackers, enamelware, watch bands, ivory, lacquer etc. The founder of Swatow Drawn Work was Tsoi Hon-yuen (蔡漢源), was a devout Christian and started the YMCA in Swatow with fellow Swatow lace merchants Lam Chun-leung (林俊良, d 1952) and Wong Ho (黄浩) and one of the 8 founders of the HK Swatow Christian Church. His wife Chan Wang-fong (陳宏芳), who was married into the Tsoi family as a child and miraculously survived being drownedat the age of 5, gave birth to 5 sons and 5 daughters, took care of her sick husband for 4 years before his death and played a crucial role in the family business. Their eldest son Tsoi Sih Liang (蔡錫良, born in 1907, the same year as the founding of the firm), third son Tsoi Yung (蔡錫讓) and eldest son in law H.K. Siu (蕭漢傑) inherited the business in HK while their second and fifth son went to South America to establish trading posts there. 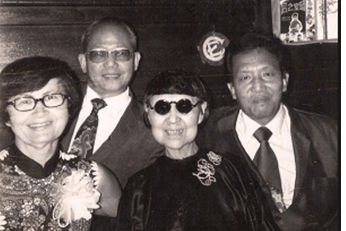 Other family members involved in the business in the later years were Harry Choy, Stephen Tsoi and Fred Siu. One of the key foreign clients for Swatow Drawn Work was Myer, the largest department store chain in Australia and in 1958, Tsoi Sih Liang’s nephew Tsoi Wai-ching accompanied the department store heir and philanthropist Ken Myer to visit Beijing, which was a rather special trip for a foreigner at the time. By the late 1960s, Swatow Drawn Work’s office had moved to United Chinese Bank Building in Central while maintaining its retail store on the ground floor of 14-16 Pedder Street and related companies included S.L. Tsoi & Co Ltd (祥樂有限公司), Swatow Traders Ltd((汕貿有限公司), Swatow International Ltd (誠聯有限公司), , Swatow Mercantile Ltd (懋泰有限公司) with the last two founded in 1963. Two members of the Tsoi family became famous evangelists. Tsoi Hon-yuen’s fourth son Theodore Choy (蔡錫惠, 1916-1992) graduated from Wheaton College (where he met his wife Leona) and worked for the Swatow Christian Church in HK from 1948 to 1951. 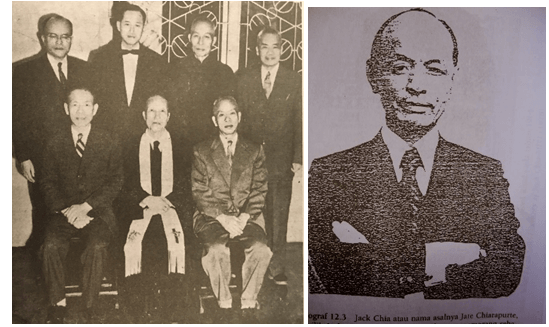 He returned to the US where he founded the Ambassadors for Christ (AFC) ministry for Chinese students in 1962 with Reverend Moses Chow with the support of the famous blind evangelist Christiana Tsai (蔡蘇娟, 1890-1983, also known as the “Queen of the Dark Chamber” after the title of her memoir) and ran the group until his retirement in 1981. Another evangelist in the family was Y.K. Tsoi (蔡欽光), the son of Tsoi Hon-yuen’s cousin Tsoi Tat-yuen (蔡達源) who was pastor of the Swatow Christian Church in TST and later a Chinese minister in Sydney. As a firm, Swatow Drawn Work Co Ltd was incorporated in 1947 and dissolved in 1999. Although Swatow Lace Co was founded one year after Swatow Drawn Work and the two were neighbors at 16 Pedder Street, Swatow Lace was arguably the more famous of the two and was recognized as the largest firm in the industry at the national level. The firm was founded in HK in 1908 by Kwa Eng-Lee (柯應李, 1886-1953), a Chaoyang native who was educated at the YMCA Day School in Hong Kong and was a founding member of the Chiuchow Christian Association in HK. Started out as a small operation, Kwa incorporated the firm in 1924 and over time established branches in Manila, Shanghai and Peiping (now Beijing) with a large factory on Kialat Road in Swatow taking advantage of the skilled labor back home and thanks to Kwa’s globetrotting effort, its Pagoda brand of linen and embroideries were exported to far corners of the earth. Recognized as a leader of the burgeoning Swatow lace industry, Kwa was appointed by Sun Yat-sen to a committee responsible for the management of the Chiuchow and Mei-hsien districts in 1922. In August of the same year, he went to Peiping on behalf of the Swatow lace industry and successfully secured tax breaks from the central government, which was extremely beneficial to the entire industry. In 1928, Swatow Lace won the Gold Medal at the Carnival Exhibition of the Philippine Islands in Manila and in 1934, it won the first prize at the National Manufactured Goods Exports Exhibition. By the late 1930s, the firm was doing over HK$2 million a year in sales. During the Japanese occupation, business was suspended as the source of materials was disrupted. Kwa and some of his children were stranded in Shanghai and it was thanks to Kwa’s wife that the HK head office located at 16 Pedder Street was preserved. In November 1949, Kwa went on a 9 months trip to US and Europe to promote his business, during which his diabetic wife died in March 1950. Kwa Eng-Lee himself died in 1953 and was survived by 2 sons and 4 daughters. His two sons – Tak-cheong (“T.C.”) Kwa (柯德昌) and T.S. Kwa (柯德聲) both went to Lingnan University in Canton and worked for Swatow Lace and TC as the eldest son took over the business as managing director. Graduated from Fu Tan University (now Fudan) in Shanghai with a business degree, T.C. joined the firm in 1929 and was responsible for overseeing the Manila and Peiping branches of the firm and also founded handicraft factories up North where he lived for over a decade. Eng-Lee’s daughter Helena Kan (柯瑞賢, 1926-2016) graduated from St John’s University in Shanghai in 1946 and taught at St Joseph’s College and St Paul’s Primary School before immigrating to Vancouver in 1967. Her husband Ramon Kan Yuet-wang JP (簡悅宏,1919-2010) was general manager of Associated Bankers Insurance in HK and the son of Kan Tong-po, the co-founder of Bank of East Asia. Swatow Lace Co Ltd was dissolved in 1964, one year after a lawsuit with Bangkok Bank. The original How Sang Linen was founded by Ling Lok-yin (林樂賢,1870-1961) in Swatow in the early 1900s. By the 1920s, the founder’s 5 sons were running the show including T.N. Ling (林作念), T.S. Ling (林作詩) and T.H. Ling (林作漢) who established the Shanghai branch on Szechuan Road and the HK branch in 1921. In 1930, another branch in Chefoo (now Yantai) was established. Outside of work, T.S. was chairman of the Swatow Athletic Association in Shanghai (In 1986, he hosted the Swatow men and women basketball teams who were visiting HK). After 1949, the family moved to Hong Kong where the firm was led by T.N. Ling as managing director and Yu Wen Kwong as general manager and operated out of Wyndham Street. In 1953, T.S. Lin established East Arts Manufacturing (東藝) in 483 Castle Peak Road to get involved in manufacturing of gloves and garments. A member of the third generation of the Ling family, John Ling Tai-yuk (林太珏, 1937-2013) started out working for How Sang before entering the garment business in the 1970s. In 1999, he acquired the listed shell HK Daily News from the Emperor Group and renamed it Graneagle Holdings (鷹馳實業). The firm was involved in textile and properties and John Ling ran it until 2007 when he sold out. John’s partner at Graneagle was his brother in law Kong Ho-pak (江可伯, 1926-), the chairman of Lotus Tours, former chairman of the listed Chi Cheung Properties (which owned the site of Ta Tung Middle School, the affiliate of Chu Hai College both of which founded by his father and he also served as chairman of) and father in law of the late Howard “Butch” Kerzner, whose family owned the Sun City resorts in South Africa and Atlantis resorts in the Bahamas. John Ling died in 2013 and was survived by his wife, 2 brothers and 5 sisters. How Sang Linen Co Ltd as a firm in HK was incorporated in 1953 and dissolved in 2005. Established in 1917, Swatow Weng Lee & Co was one of the leading and its sister companies included Weng Lee Garment Factory and Weng Lee Embroidery Factory. The firm originally operated out of 52 Nathan Road (present site of Holiday Inn Golden Mile) in TST before relocating to Chungking Arcade at 28 Minden Avenue in the 1960s and also had a shop at the President Hotel (later Hyatt). By the 1970s it was operating out of 42 Cameron Road. The firm’s proprietor Chan Hong-Weng (陳漢榮) was born in Swatow in 1907 and was educated at the Presbyterian sponsored Anglo Chinese College in Swatow. Outside of work he was vice president of the Tsim Sha Tsui District Kaifong Welfare Association and School Supervisor, Hon. Treasurer of Swatow Christian Church, director and hon. Treasurer of the Carmel Village Swatow Christian Church School and director of the Chiu Chow School. In 1988, Golden Orchid Ltd was formed as a subsidiary to manufacture promotional items for corporations. Swatow Weng Lee Co Ltd as a firm was incorporated in 1975 and dissolved in 2013. Founded in 1920 on Nathan Road, Fook Weng & Co was another prominent Swatow lace merchant which operated out of various locations in Tsim Sha Tsui – 20 Hankow Road, 13 Salisbury Road and also had a store in the Peninsula Hotel as early as the 1930s. Founded in 1922, HK & Shanghai Lace is one of the leading Swatow lace firms which operated out of 8 and 12 Wyndham Street in Central with Kowloon branch at 6 Hankow Road. Its founder Henry CH Lin (林兆禧, 1892-1978) grew up in a large family and was baptized at the age of 18. When he could no longer afford tuition for the Christian school, he became a peddler of Swatow lace. In 1921, he married Yung Ching-fai (翁清輝), the daughter of Yung Choi-yuen (翁財源), founder of one of the first Swatow lace firms in the 1900s and an elder of the Swatow Christian Church. Lin founded HK & Shanghai Lace the next year. In 1923, he formed the HK Chiuchow Chinese Christian Association with a number of fellow Swatow lace merchants. Meanwhile at HK & Shanghai Lace, business took off and branches were established in Hankow, Swatow, Shanghai and even India, where he made a bundle in the 1930s despite of the difficult economic conditions in China thanks to the Sino Japanese conflict. Despite his good fortune on the business side, he became gravely ill in 1932 and after his recovery, he became more involved in the Church, serving as chairman of the Swatow Christian Church in HK from 1948 to 1966. In more recent years, the firm operated out of Pedder Building and Hang Chong Building in Central. Founded in 1925 by S. M. Chan as a small shop in Kowloon, Tai Sung grew to become a major player in the Swatow lace business in HK by focusing on providing the best quality hand embroidered products under the Splendor trade mark. 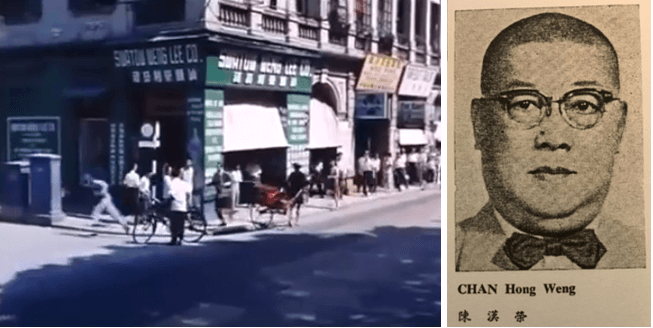 After the War, S. M. Chan and his son Francis Chan re-established the firm which as of 1949 operated out of Des Voeux Road with factories in Kowloon City, Shanghai and Swatow. In 1957, its office was located at 8 & 8A Queen’s Road Central with a factory in Tak Ku Ling Road and a warehouse in Fuk Lo Tsun Road in Kowloon City. In 1968, its main factory was located at 36 Tai Yau Street in San Po Kong. As a firm, Tai Sung Embroidery was incorporated in 1965 and dissolved in 1987. Founded in 1932, Chin Chian & Sons was a major Swatow lace merchant operated out of 14 Peking Road in TST. Its founder Yadsun Cheng (陳逸山, 1908-2000) was the youngest son of Chan Yuan (陳元1874-1934), a native of Kiyang who was a traveling missionary in the Chiuchow region. When he returned to Swatow for his father’s funeral in 1934, he attended a revival meeting conducted by the famous evangelist John Sung (宋尚節) and afterwards became very involved with the Swatow Christian Church in HK, hiring many fellow Swatow Christians and turning his shop into a gathering place for the Church goers. 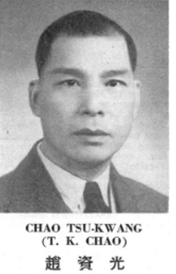 Under his leadership as chairman from 1956-72, the TST Church grew significantly. In 1972, Cheng migrated to San Francisco where he remained active with Swatow Christian Church there until his death at the age of 91. Founded in 1937 by Chaoyang native Fai-sing Hsu (徐輝星) and his brothers (all his brothers had the character “sing” which means star in their names which explained the firm’s name of Union Star), Union Star was a leading Swatow lace merchant. The business first operated out of 29A Wyndham Street but later moved to D’Aguilar Street. A related company is Eastern Embroideries Ltd (東星顧綉) which was managed by Hsu Chin (徐展). Another Swatow lace merchant – Hsu Brothers (集祥抽紗行)located at 33 Queen’s Road Central (managed by Hsu Guan-chew) might be related to Union Star. By 1949, Union Star was a substantial operation nationwide with its own underwear factory in Shanghai and linen factory in Swatow (managed by two Hsu family members) and was the agent in HK of Shanghai’s China Lace Factory. In the 1960s, Union Star added a garment factory Star Garments Factory (華星製衣廠, incorporated in 1964 but dissolved in 2013) to the mix, located in its own Startex Industrial Building in San Po Kong. 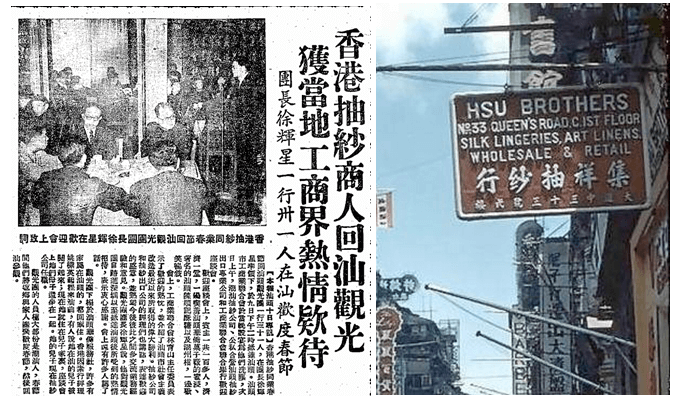 In 1964, Hsu led a consortium of Swatow lace merchants including Sun Leung of Man Cheung and Chong Ting-kwong (莊庭光) of Oriental Handiwork (華東抽紗, 1 On Lan Street) to form the Chinese department store Chung Way Emporium (中滙國貨. Incorporated in 1964, dissolved in 1991). The group acquired a plot of land in Kwun Tong where it built a 13 story building and Chung Way which occupied the first three floors opened in April 1966. The pro-Beijing F.S. 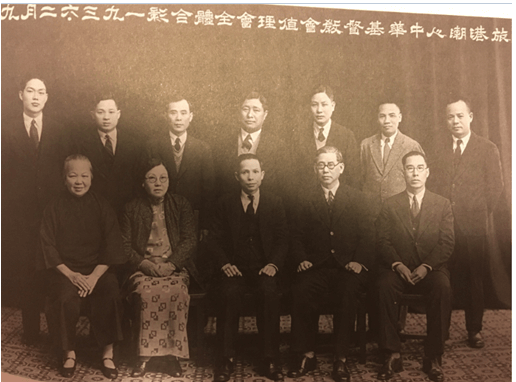 Hsu served as chairman of the HKEMA in the 1960s and 70s, leading delegations back to Swatow and was also a director of Heung To Middle School and Chinese General Chamber of Commerce. He was succeeded by his eldest son H.Y. Hsu (徐興演), a civil engineering graduate of HKU, who married the scion of another Chiuchow business family – the granddaughter of Chan Chi-sun, the chairman of Wah Mei Electric in 1966. Founded in 1937 and located at 19 On Lan Street. Proprietor was Tse Hei-chun (謝禧俊). China Lace Co Ltd was incorporated in 1938 and dissolved in 1994. It was located at Gloucester Building in Central. HK Embroidery, which operated out of Nathan Road, was founded in 1941 by Andrew Wong (黃安逸). Born in 1915, Wong was a third-generation Christian who grew up in Swatow. His mother was a Church friend of the family of Yadsun Cheng and in 1932, he joined Cheng’s Chin Chiang & Sons in HK where he worked for a decade before striking out on his own. During the Japanese occupation, he left HK for Swatow in 1944 and returned after the War. In 1957, he and his family (which included his wife, 3 sons and 2 daughters) migrated to Australia, where he became an elder of the Chinese Presbyterian Church in Sydney and founded a number of Chinese Christian groups. Chi Seng Company was a major player in the Swatow lace business in the 1950s and 1960s and was founded in 1948 in HK by P.C. Chia (謝秉正,1897– 1960). It was an exporter and manufacturer of hand embroideries, primarily to Australia and New Zealand, and was also involved in wool and the distribution of W.R. Prior microscopes in HK. Its office was located at the Union Building in Central. A native of Chao-an, Chia’s grandfather Chia You-peng (謝有朋) was one of the earliest Christian converts in Chiuchow and was in the sugar business. His father T.M. Chia (謝德茂, 1879-1951) founded the Swatow Canning factory in 1925 and was also involved in banking. Like his father, P.C. Chia served as director of YMCA and the Church in Swatow and he and his wife Chan Shut-ching were active in the Swatow Christian Church in HK. P.C. and his wife had 5 sons – the eldest son K.S. Chia (謝傑士) succeeded him at Chi Seng Co and was an elder of the Swatow Christian Church. The second son Jack Chia (謝傑立, also known as in Thailand, 1922-1996) was the most famous of the siblings. In his 20s, he set up a branch of Chi Seng in Thailand where he was known as Jack Chiarapurk, dealing in import/export of pharmaceuticals and Thai silk. In the 1970s and 1980s, Jack Chia built a multinational business empire under the name of Jack Chia International (志正國際) through acquisitions. He engineered Singapore’s first reverse takeover when he acquired MPH (originally Methodist Publishing House, later Malaya Publishing House), one of the oldest and largest publishing houses in Singapore in 1972. He acquired three companies in the UK – Tumble Tots (which runs physical play programs for children) in 1984, Combe Grove Manor Hotel & Country Club in Bath and Blue Bird Confectionery (best known for its toffee). In 1981, Jack Chia acquired Melbourne listed car dealer and property group Alan Coffey Holdings. In 1993, Jack Chia acquired Boustead & Co, one of the oldest British trading houses in Singapore. After his death in 1996, his sons Donald Chia (Danai Chiarapurk) and Clement Chia (Chatri Chiarapurk) sold MPH to property developer Simon Cheong (鍾世平). P.C.’s fourth son K.W. Chia (謝傑偉1924-49) graduated from St John’s Middle School in Shanghai and CKS School of Medicine in Nanchang but died of appendicitis while working as a doctor at Queen Mary’s Hospital in HK at the age of 25. P.C.’s youngest son Howard Chia (謝傑民, 1926-), a graduate of St John’s University in Shanghai, migrated to Sydney where he was involved in textile and properties and made it to the list of the 200 richest Australians in 1986 for the first time with a reported net worth of A$40 million. Union Embroidery is an example of a Swatow lace merchant which evolved into a garment manufacturer. The firm was founded in 1953 in 94 Tam Kung Road by Chinghai native Lam Heung-wing (林向榮, aka Lam Luk-kwan 林陸君and Lam Chok-fai林作輝) to deal in Swatow lace. Born in 1907, Lam was previously in the banking business in Swatow before the War and then became involved in gold, watches and the Siam trade. In 1954, Union established a glove factory in 32 Tin Kwong Road and exported to the US and UK. By 1957, business was doing so well that everything was moved to 131-133 Tung Chau Street and its products were also exported to Australia, Holland, Sweden, Switzerland, Germany and Northern Europe. In 1962, the firm was incorporated and moved into a bigger space at 778 Cheung Sha Wan Road where it employed 250 workers. In 1963, it acquired Industrial Lot 519 in Kwun Tong where it built a 14 story industrial building in 1965. Lam supported by his wife Tong Hau-chu (唐巧珠) and three sons – Tai Yeung (林太漾), Tai Hei (林太喜) and Tai Yun (林太印). The firm was dissolved in 1976. Excelsior was founded in 1955 as a hand embroidery firm but migrated to machine by the 1960s with the rising labor cost and scarcity of skilled labor. The firm which specialized in table linen and handkerchiefs and operated out of 73 Nam Kok Road in Kowloon City is not to be confused with May Land Art Embroidery which has a similar Chinese name and was founded by Lam Ping-suen out of Tsat Tsz Mui Road in North Point and also made pajamas and other clothings. 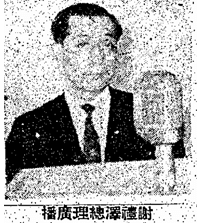 The founder of Excelsior Koo To-sang (顧駝生)was born in 1911 and graduated from Yenching University with a B.A. Before the War, he worked in education in the North but after Peking and Tientsin fell to the Japanese, he moved back to Swatow where he entered the Swatow lace business. By 1958, Excelsior already had three factories – in addition to the one in Kowloon City it also had one in Shep Kip Mei and Kennedy Town and was employing over 800 workers. Excelsior as a firm was incorporated in 1966 but dissolved only 6 years later in 1972. Founded in 1955 by Henry Tse Lai-chak (謝禮澤), Henry Handicraft operated out of Great China House in Central and had a factory in 650 Castle Peak Road. A native of Chao-an, Tse was born in 1925 and studied accounting and economics in HK. In addition to Henry, he also owned a factory in Singapore and was elected chairman of the Knitwear Manufacturers Association and director of Tung Wah in 1970. As a firm, Henry Handicraft was incorporated in 1963 and dissolved in 2002. While most of the firms covered in this article had faded into history, the Kam Hing/Sunham group founded in 1962 by Swatow lace merchant Yung Kum-tung (翁錦通) continues to thrive today as a leading supplier of home textile products to major US retailers. Born in Chinghai in 1917, Yung started working in the Swatow lace industry as an apprentice at How Sang Linen in Swatow at the age of 11, fetching water for the washing department. He moved to Shandong province in 1930 to help the Ling brothers established the Chefoo branch of How Sang and worked there for a decade. When the Pacific War broke out in 1941, he lost his job and eventually moved back to Swatow where he struggled to make a living. In 1957, the 40 years old Yung arrived in HK from Swatow with two dollars in his pocket and started out working as construction worker in the old Kai Tak airport. By chance he ran into an old colleague of his from his days in Chefoo who offered him a job in his Swatow lace firm Chun Sang Trading (春生行) in HK. By 1962, Yung saved enough to go into business on his own and founded Kam Hing Embroidery at 12 On Lan Street with a focus on table linens. In the early years, he converted his home to a workshop where his whole family (including wife and 8 children including 3 daughters) all helped to make Swatow lace. He also formed Sunham & Co Ltd (森興貿易, incorporated in 1972 and dissolved in 1999) at Duke Wellington House on Wellington Street to focus on the export markets. In 1969, Kam Hing entered the European market and opened a boutique and office in Italy. In the 1970s, Yung recruited Dr. Shao-Hsien Pang (彭紹賢1900-1992) MBE JP, who ran the YMCA in HK from 1948-70 and was an elder of the HK Swatow Christian Church, as an advisor to help Kam Hing expand overseas. Pang, who was vice chairman of the HK Olympics Committee, helped to launch Kam Hing in the Middle East market by sponsoring the 7th Asian Games in Tehran in 1974 where Kam Hing provided Swatow lace souvenirs to over 8000 participants. 1974 also marked the year Sunham/Kam Hing entered the US market which became its most important market. In 1971, Yung was elected vice chairman of HKEMA and in 1984, he was elected vice chairman of the Chinese General Chamber of Commerce. In 1990, Yung’s son Howard Yung Kung-ho (翁公豪) took over Sunham in the US and expanded the firm’s offering from table cloth to bedding, bath and beach products (firm also renamed Sunham Home Fashions as a result). Over the next quarter of a century, Sunham achieved tremendous success by being a reliable supplier to virtually all major US retail chains (Macy’s, Walmart, Kohl’s, Bloomingdale’s etc) with high end designs being developed in its New York office to meet the taste of the US market coupled with low cost manufacturing in China. The business grew from $3 million to over US$155 million by 2011. In recent years, Sunham have signed exclusive licensing agreement to develop bed and bath products under the Hugo Boss, Lacoste and Bluebellgray brands and also opened offices in India and Pakistan given the rising cost of production in China. This article was first posted on 30th October 2017.